Home / Entertainment / NEWS / SingleLink Mag Online Presents... 'The RETURNEEZ' With BUKKY On Friday Evenings! 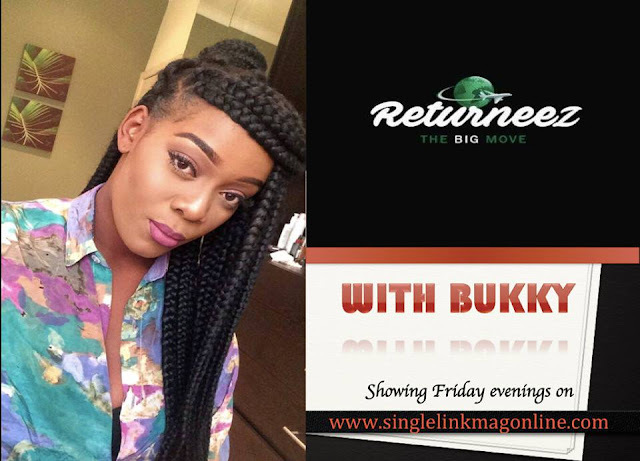 SingleLink Mag Online Presents... 'The RETURNEEZ' With BUKKY On Friday Evenings! What is “The Returneez”? The Returneez is a platform designed to aid persons who have been based in other countries of the world for long periods, and intend to make a transition to Nigeria. The platform will be designed for returnees (and “potential”) to gain knowledge, advice, the various Nigerian perspective, and provide encouragement on what it takes to live in Nigeria. Based on my experience on transitioning from the United Kingdom to Nigeria, I am conversant with some of the challenges associated with making a transition to Nigeria, and can share some of my experience with our target audience. Vlogs The Returneez will start with a YouTube channel (“Vlog”), the aim of which will be to give a personal account of my experience, provide responses to questions from potential returnees and generally providing advice on a variety of topics as it bothers on making the transition. 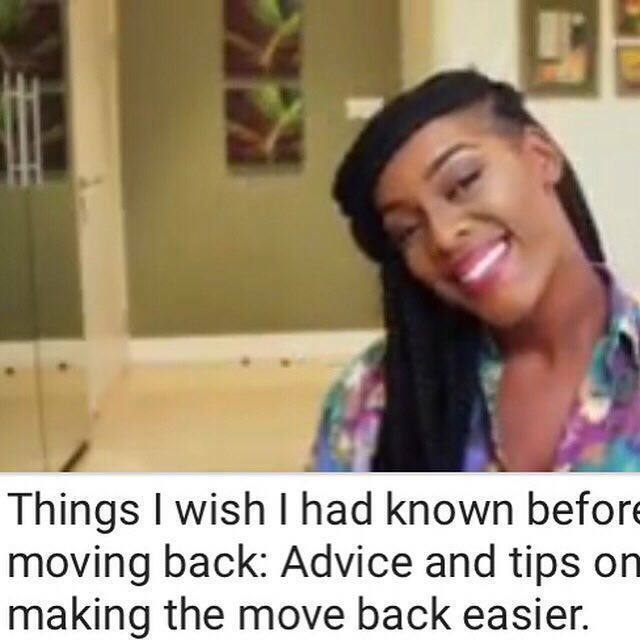 The Vlog will feature an interview segment involving a discussion with other returnees, who will be sharing their various experiences and give advice and survival tips. The various interviews will cover a wide range of people, who by their different backgrounds, ages and different dreams and ideas will show the diversity in the opportunities Nigeria has to offer. Questions by the Subscribers to the channel will be answered during the interviews. It is a weekly show every Friday evenings.